Ahead of one of the largest military exercises in the Russian military calendar, Zapad 2017, which will take place in ranges across Belarus, Kaliningrad, Leningrad, and Pskov regions on September 14-20, the Russian Ministry of Defence has laughed off allegations that the exercise is a “Trojan Horse” for invading neighbouring Baltic countries. 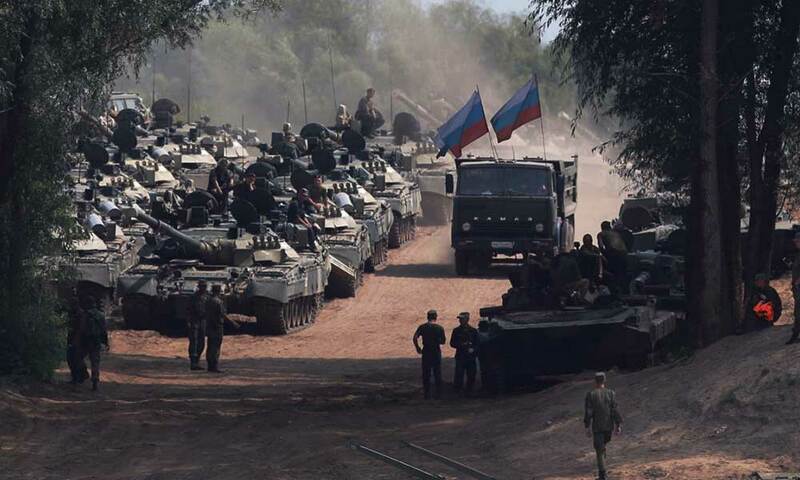 Unlike previous military exercises, which saw Russia later invade Georgia in 2008 and a trend for “snap” or “no-notice” exercises, which preceded Russia’s incursion into the Crimea region in 2014, Zapad is a scheduled joint training exercise for Russian and Belarusian Armed Forces that takes place every two years. At a briefing on preparations for Zapad 2017, Russia’s Deputy Defence Minister Lieutenant General Alexander Fomin, described suggestions that Zapad was a “bridgehead for intervention and invasion” of Lithuania, Poland and Ukraine, as unsubstantiated allegations. Despite Russia’s reassurances, neighbouring Lithuania and Latvia have issued warnings that Zapad could be used to gather intelligence about their defence systems. The Latvian Minister of Foreign Affairs said that Russian aircraft may “accidentally” fly into the airspace of Latvia. Latvia has received an invitation from Belarus for military observers to participate in Zapad 2017. In the second phase of the exercise, issues of troops’ control during military actions aimed at repelling aggression against the Union State as well as organisation and all-round support in fast-changing situations will be practised. Although previous iterations of Zapad have included simulated strikes on Poland, the official line coming out of the Russian Ministry of Defence is that Zapad 2017 has more of a counter-terror theme, with Russian and Belarussian forces having to defend against extremist groups that have penetrated the territories of Belarus and the Kaliningrad region of the Russian Federation to carry out terrorist attacks and destabilize the state of Russia and Belarus. The conditional extremists will receive logistics assistance and military hardware by air- and sealift. To defeat the 'terrorists' in a simulated situation, Russian and Belarussian troops will deploy military units in the rebel groups areas to isolate them; conduct airborne and air defence operations to support ground forces and block terrorists’ air supply lines, as well as conduct Special Operations and naval blockades. The Russian MoD says at the same time as Zapad 2017, anti-terror tactical exercises will also take place. However, foreign policy experts say Russia has a long history of using military exercises as a platform for waging war. The 2008 Russo-Georgian War followed a 2008 Kavkaz military exercise. A “snap or no-notice” military exercise in Feb/March 2014, which saw large numbers of airborne troops, transportation aircraft and long-range aircraft, as well as troops deployed into Crimea, preceded Russia’s annexation of Crimea. According to the Russian MoD, approximately 12,700 troops, 70 aircraft and helicopters, up to 680 pieces of military hardware including about 250 tanks, up to 200 guns, multiple launch rocket systems and mortars, as well as 10 warships will be involved in Zapad 2017. 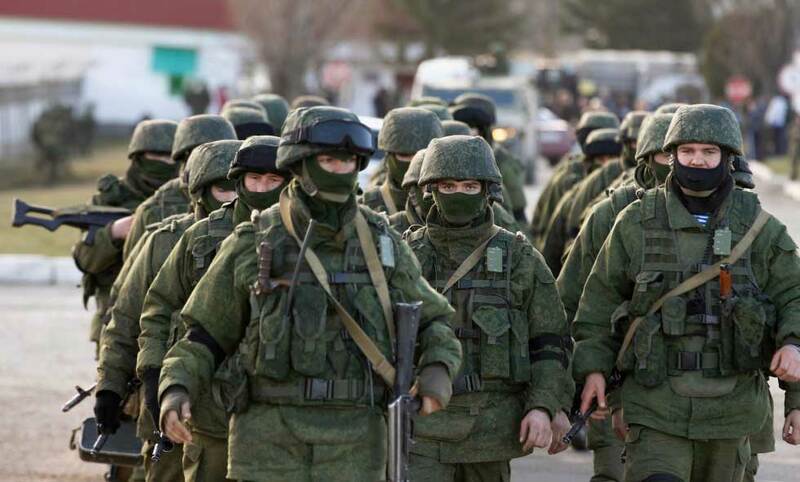 However, experts say that Russia often intentionally “underestimates” the number of troops involved in military exercises. Western experts believe the number of personnel involved could be much higher than the officially stated figures; in the region of 100,000. The Vienna Document, which seeks to deliver greater transparency around military exercises, specifies that major exercises involving more than 13,000 troops must be accompanied by an invitation to Organization for Security Cooperation in Europe observers to attend. Russia’s estimates for troop participation in Zapad 2017 fall just below that figure. In the name of transparency, Lt. Gen. Fomin says the leaders of foreign defence departments and representatives of military diplomatic corps have been invited to visit the final stage of the Zapad 2017 joint strategic exercise at the Luzhsky range (St. Petersburg region). Military attaches were also invited to visit the event in September. In late August, a NATO spokeswoman stated that the Alliance would send "three experts" to the Zapad Visitors' Day in Belarus. However, she stated that the visits were not a substitute for adhering to rules enshrined in the Vienna Document, which gives monitors access to a wider range of information on military exercises. Relations between Russia and NATO member countries have been strained since Russia’s incursion into eastern Ukraine and the Crimea, which resulted in the largest build-up of NATO forces on the alliance’s eastern flank since the end of the Cold War. In the current political climate, although it is a regular exercise, Zapad 2017 will only serve to stoke existing tensions and paranoia. As part of NATO’s Enhanced Forward Presence, approximately 4,500 troops deployed to the Baltic nations and Poland. NATO is also strengthening its multinational presence in the Black Sea region, based round a Romanian-led multinational framework brigade. The Alliance has also tripled the size of the NATO Response Force to 40,000, which includes a “high-readiness” Spearhead Force, which is led by the UK and comprises 20,000 personnel, including land, air, maritime and Special Forces. Canada leads the battlegroup in Latvia, with contributions by Albania, Italy, Poland, Slovenia and Spain. Germany leads the battlegroup in Lithuania, with contributions by Belgium, Luxembourg, the Netherlands and Norway. The United Kingdom leads the Estonian battlegroup, with contributions by France. The United States leads the Poland group, with contributions by Romania and the UK. 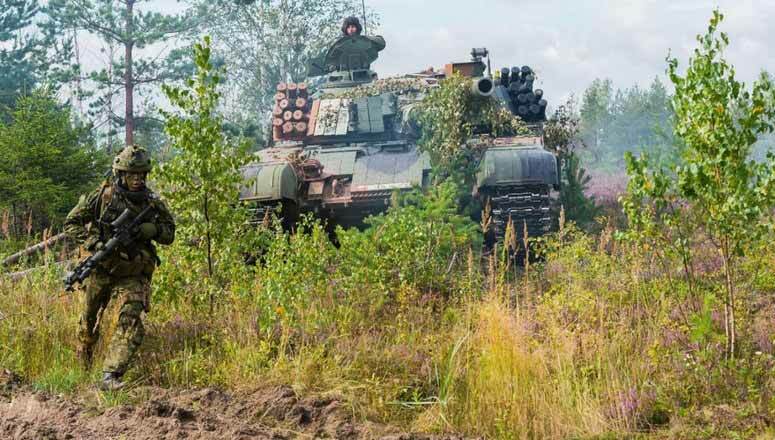 On the 28 August, NATO declared that the four multinational battlegroups in Estonia, Latvia, Lithuania and Poland were now fully operational after the Canadian-led battlegroup based at Camp Ādaži in Latvia became the fourth battlegroup to complete its Certification Exercise. NATO says its Enhanced Forward Presence is “a defensive and proportionate deterrent force, fully in line with NATO’s international commitments. They send a clear message that an attack on one ally would be met by troops from across the Alliance.” But how effective would NATO forces be if they ever came up against Russian troops? Since 2015, FAZ.NET estimates that Russia has conducted significantly more training exercises than NATO countries. In 2015 alone, FAZ.NET estimates that Russia conducted approximately 50 exercises or “snap inspections,” compared to just 12 NATO exercises that were held that year. NATO has stepped up the tempo of multinational training exercises since then, with 13 exercises scheduled or completed as at September 2017, but it is still less than Russia, and most experts believe if NATO forces were to come up against Russian forces, they would be significantly outnumbered. The Alliance's forces also have to worry about the issue of interoperability. Although they are used to fighting as a Coalition, with experience in Iraq and Afghanistan, a conflict with Russia would be markedly different and entail going up against a far more sophisticated enemy, which engages in ‘hybrid’ forms of warfare. Defence budget cuts in NATO member states have also impacted the number of live training exercises within countries. In recent testimony before the House Armed Services Committee, the Chief of Staff of the US Army, Gen. Mark. Milley, said that if the Army were to operate under a year-long continuing resolution, rather than an actual budget, all Army training would cease by July 2017, except for those soldiers deploying to Iraq and Afghanistan. NATO’s Enhanced Forward Presence on the eastern flank may be less of a battlegroup and more of a psychological deterrent to Russia, but if NATO forces ever have to engage in battle against Russia, then the tempo of training and live exercises will have to increase significantly. The Alliance will have to strike a balance, however, between being seen to keep diplomatic channels open to Russia and increasing the tempo of military exercises and activities in the vicinity of Russia's borders.